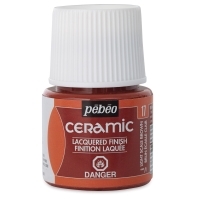 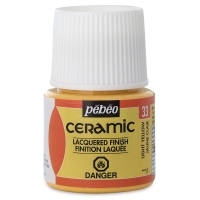 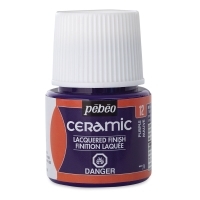 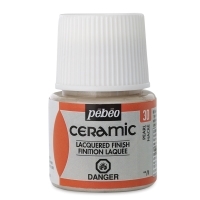 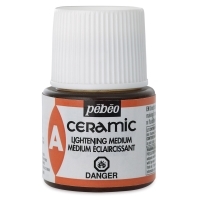 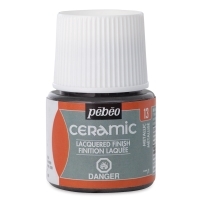 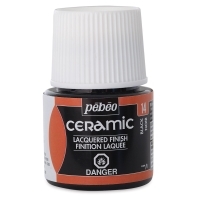 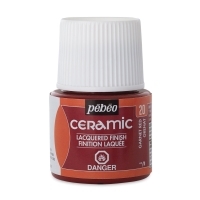 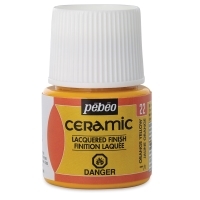 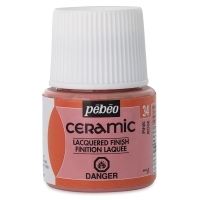 Luminous and opaque, Pebeo Ceramic Paints are ready-to-use, high-gloss colors that impart a lacquered, enameled finish to terracotta, ceramic, and pottery, as well as plastic, wood, metal, glass, and canvas. 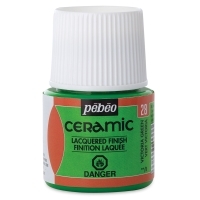 Ceramic colors are opaque, alkyd oil-based paints that feature excellent lightfastness and a thick, velvety, tight film. 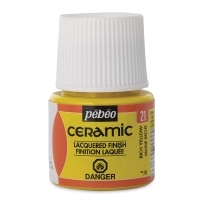 Create unique effects by mixing colors together, or by combining with Pebeo Vitrail, Pebeo Fantasy Moon, and Pebeo Fantasy Prisme paints. Ceramic colors are ideal for mixed media applications — thick layers of paint can be combined with other mediums such as sand, or can be engraved with a stick. 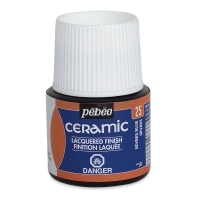 Apply ceramic colors with a brush, sponge, or dropper, or by dripping, spattering, or pouring them directly from the bottle. 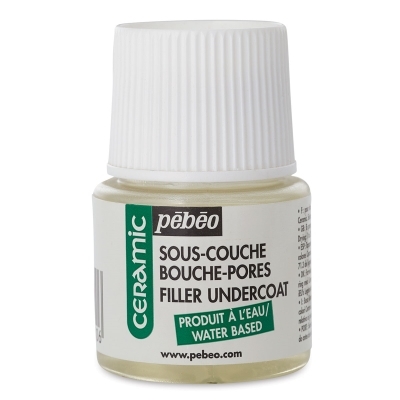 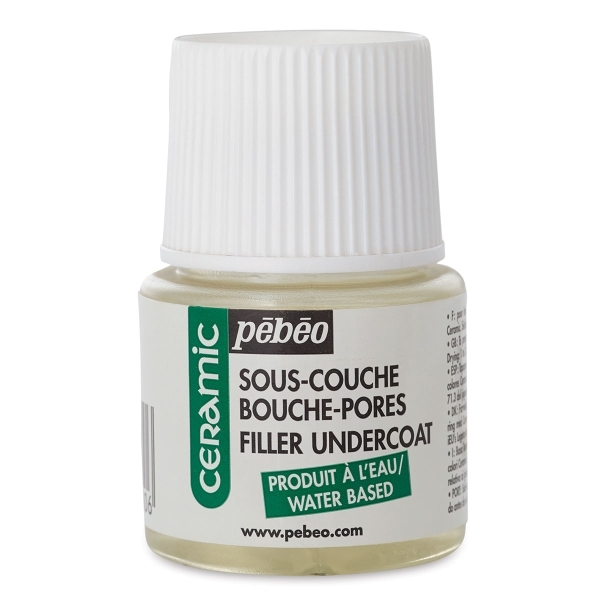 To maximize the brightness of applications onto porous surfaces, apply a layer of Ceramic Filler Undercoat prior to painting. Ceramic Discovery Set — This set includes six, 20 ml (0.68 oz) bottles in White, Black, Cherry Red, Rich Gold, Yellow, and Lavender.